But birds have been flying for nearly three times as long as bats. 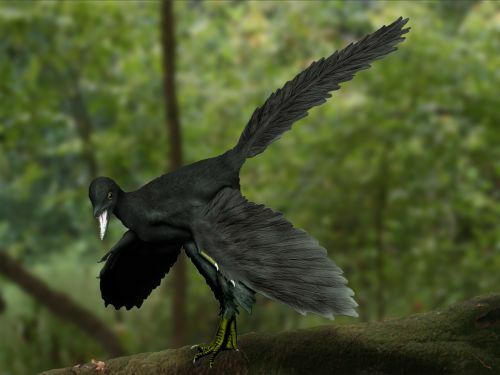 The oldest bird fossils are from Archaeopteryx, found in the Solnhofen limestone quarries of Bavaria, Germany, and these fossils were dated to about 150 million years ago. These fossil bones mark the beginning of birds in the fossil record. The pterodactyl is just one of a huge group of flying reptiles called the Pterosaurs. Pterosaurs were capable of powered flight, and species from this group of reptiles lived from 228 to 66 million years ago, dying out along with the dinosaurs at the end of the Cretaceous. In many ways, their evolution is mirrored by that of birds. 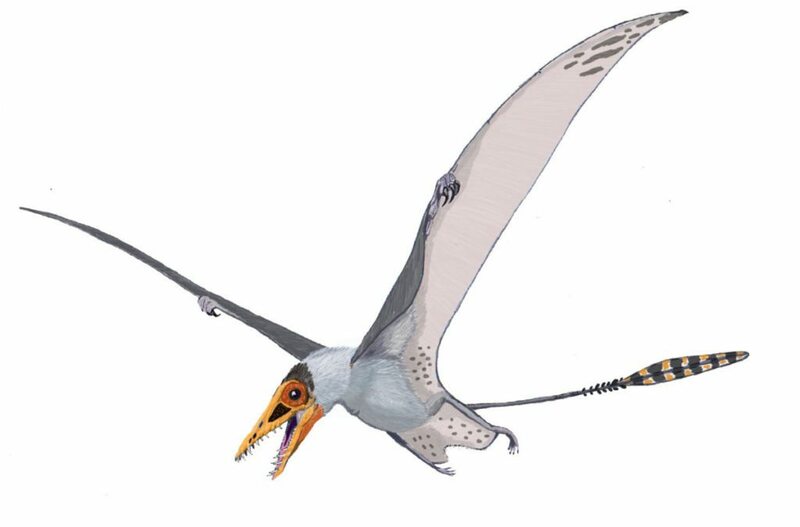 For example, pterosaurs started out with mouths full of teeth, but over time evolved a lighter, toothless, beak-like mouth. They also evolved a lung-airsac system similar to but predating that of birds by some 70 million years, that allowed efficient oxygen exchange for powered flight. Evidence from their lifestyle and body covering suggests that they were warm blooded as well. As in bats, a membrane extends from the forewing and finger bones to provide shape and structure to the open wing, but the pterosaurs use only a single finger at the front of the wing to support the wing. 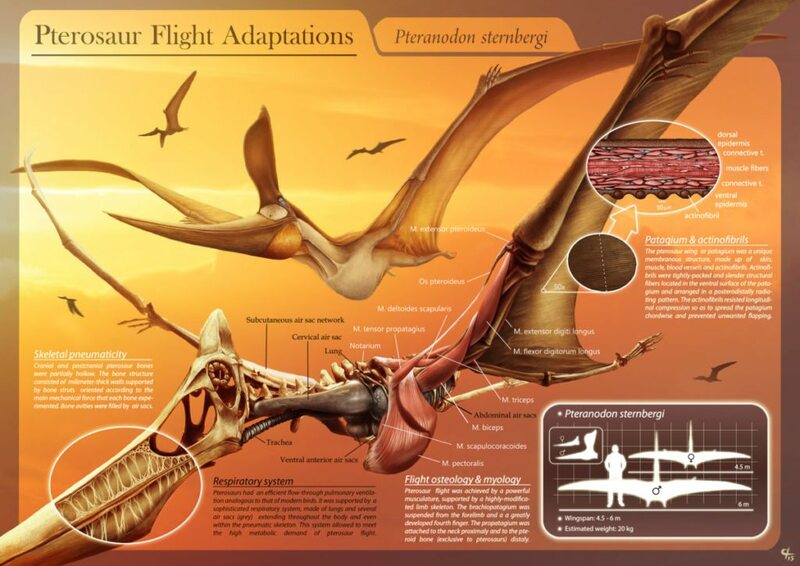 The patagium, or wing membrane, of the pterosaurs was thicker, stronger, and more complex than that of bats. 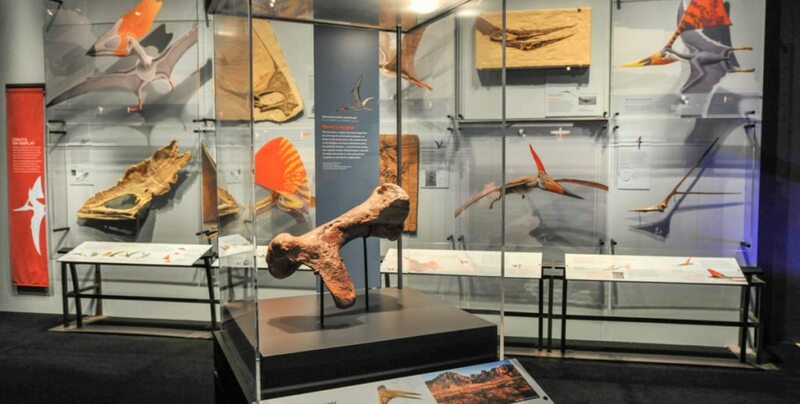 The pterosaur patagium included layers of muscle fibers as well as connective tissue called “actinofibers” that may have provided strength and support, and helped shape the wing like the battens on a sail. 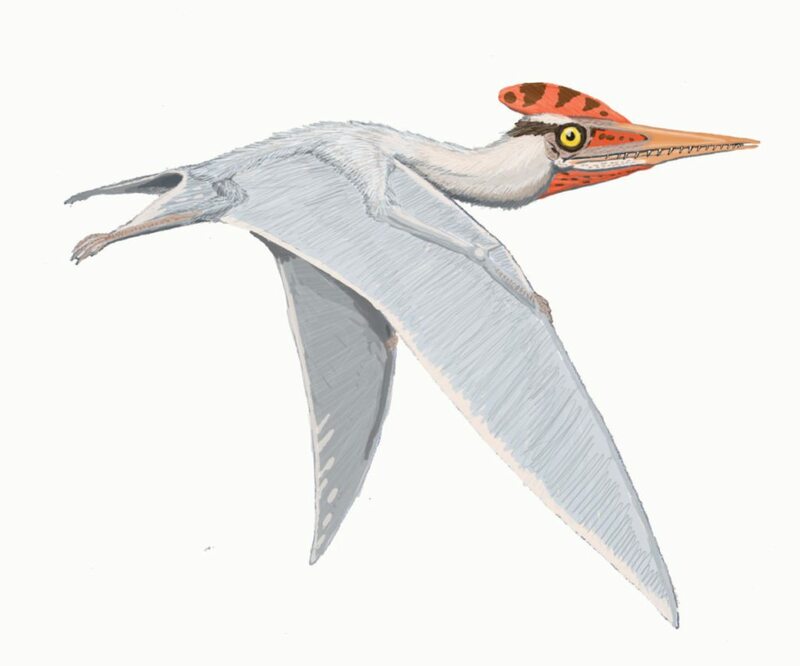 Many of the pterosaurs also evolved strange crests and head shapes, whose purpose is not understood. The largest of the pterosaurs was Quetzalcoatlus northropi, which had a wingspan of 10-11 meters (up to 36 feet!) and stood 4-5 meters tall (16 ft). With such large bodies and wings, they are believed to have flown at fast speeds (up to 75 miles per hour) and could cover large distances. Based upon fossil footprints from pterosaurs, they were believed to walk on four legs, with the wings folded back along the arm, and the other fingers opened out to form a hand or paw. This would have been useful for supporting their large bodies while on the ground. Combine a visit to Cal Academy to see the pterosaur exhibit with a nearby Golden Gate Audubon activity! We hold monthly habitat restoration sessions in Golden Gate Park – at the Bison Paddock on the third Saturday of each month, including October 21, and at North Lake on the fourth Saturday of each month, including October 28. We also host a bird walk in the San Francisco Botanical Garden in Golden Gate Park on the first Sunday of each month. See goldengateaudubon.org/volunteer for details on the habitat restoration events and goldengateaudubon.org/fieldtrips for details on the bird walk. Jack Dumbacher — curator of ornithology and mammalogy at the California Academy of Sciences — serves on the Golden Gate Audubon Society board and chairs our San Francisco Conservation Committee.